The clean, efficient, and draft free infrared radiant heat feels just like the sun, warming people and objects, while not wasting valuable energy trying to heat air. No longer does the outdoor fun and entertaining have to stop when the sun goes down! Condos, apartments, resorts, and timeshares with swimming pools or barbeque areas; can supply easy to operate heaters so their residents and guests can continue to enjoy their outdoor areas year round. 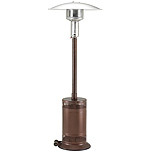 Restaurants that have patio seating can use propane and natural gas heaters to provide warmth to their guests. 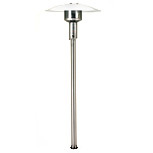 Event supply companies can increase their margins by renting propane heaters to parties and events.